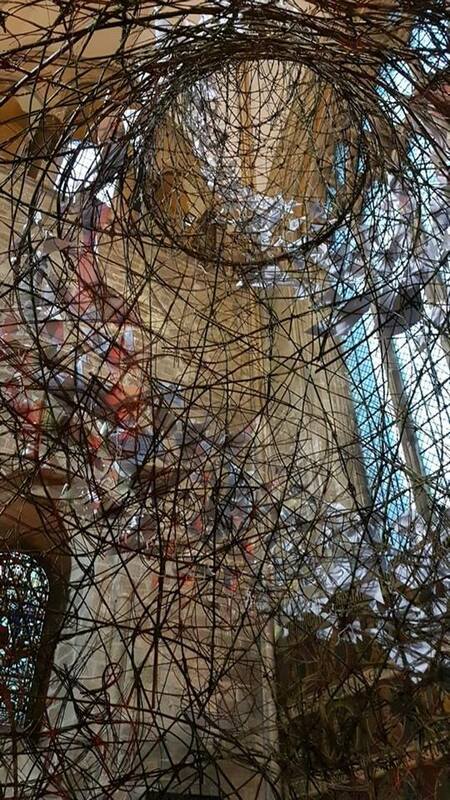 This new installation in the North Transept of Chichester Cathedral is an amazing 9m high and woven entirely from willow. Go and see it! It is only here until 24th November! Land artists Mark and Rebecca Ford from www.twocirclesdesign.co.uk created it over 5 days in the north transept and it really takes the breath away! 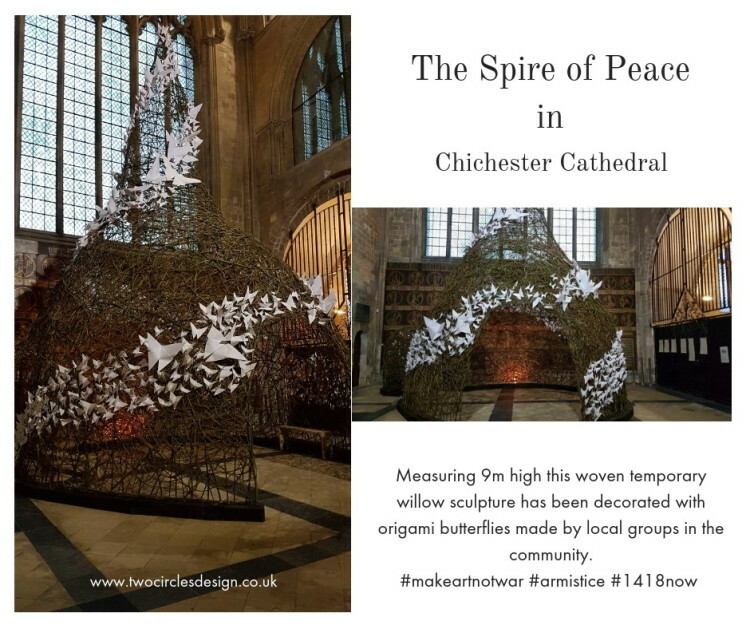 They have worked with local schools , community groups, young carers, people with special needs , the friends of Chichester Cathedral and local churches to create thousands of paper #butterflies on the 9m spire. They are inviting visitors to write pledges of peace and contribute to the sculpture installation. You can also contribute to the costs of running the Cathedral by way of donations. In addition to the spire being 9m high the main base is 5m x 6m with a side chapel of 3m diameter and 2m high roof. 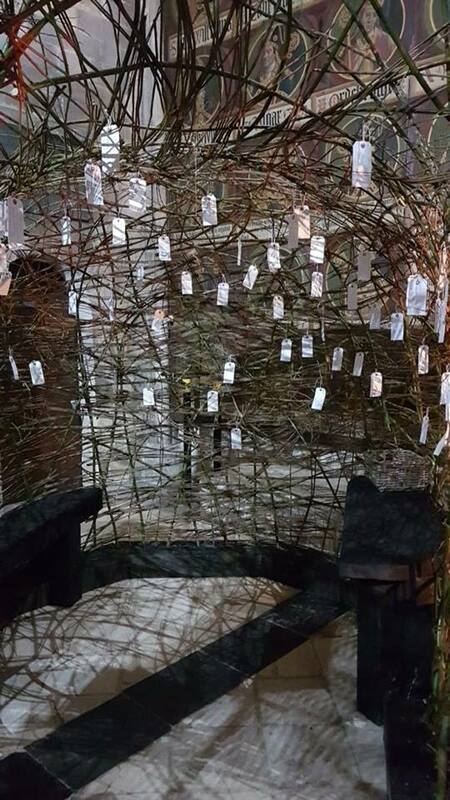 It took 120 hours to create with 600 x 3m long fresh Salix (willow) and countless bundles of machine-cut brown basket willow. Two Circles have been creating a wide variety of land art since 2004 – mainly woven temporary sculptures both locally and abroad! They run workshops too – these are especially popular for my Hen party groups – as you get to keep your artwork but learn a new skill too. They are great fun and excellent for team building. To find out more about holding your own workshop for your Hen Party or group activity speak to Gayle directly.